The Singapore maritime industry looks well-positioned for the future, with strong support from SkillsFuture Singapore (SSG), the Maritime and Port Authority of Singapore (MPA), and Singapore Maritime Officers’ Union (SMOU) in the form of continued funding for the Tripartite Nautical and Engineering Training Award (TNTA & TETA) Programs worth S$12.6 million. The TNTA and TETA programs will receive funding support from SSG, MPA and SMOU. 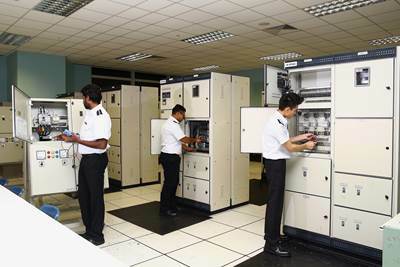 The two cadet training programs are recognized as key opportunities for Singaporeans to develop themselves to the fullest potential through progressive and fulfilling career pathways. The three-year funding commences this year and aims to groom a pool of 200 Singaporeans to become deck and marine engineer officers, who will contribute to building the Singapore manpower core in the Maritime sector. Guest-of-Honor, Ng Chee Meng, Minister for Education (Schools) and Second Minister for Transport made this key announcement at the annual SMOU & Wavelink Lunar New Year Luncheon and Hong Bao Presentation on February 20, at Raffles City Convention Center to about 1,000 tripartite partners, industry guests and union members. As part of SMOU’s core values of “Caring and Sharing”, 200 senior citizens from SMOU’s adopted home, Henderson Home and various community homes such as Care Community Services Society, Hope Community Services Center, Jamiyah Home for the Aged and Bright Hill Evergreen Home were invited to the luncheon and presented hong baos. Additionally, starting from 2018, SMOU will contribute $120,000 over a period of three years to The Mission to Seafarers Singapore (MTSS) to improve the welfare and general well-being of seafarers. This contribution will serve to benefit seafarers who visit the International Drop-in Center at Jurong Port operated by MTSS. The facilities at the center offer seafarers a cosy environment to relax, free Wi-Fi and interaction with fellow seafarers among others. Today, Singapore is home to more than 5,000 maritime establishments employing over 170,000 people. The maritime industry contributes to 7 percent of Singapore’s GDP.